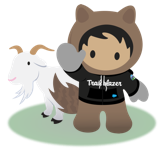 Salesforce classic provides for a standard confidentiality disclaimer at the end of each report run, exported or delivered. Unfortunately, this capability was not carried over to Lightning Experience and has never offered an ability to customize the content of the disclaimer statement. This would be extremely helpful in achieving compliance objectives and would help drive additional parity with the classic experience. It is very important when tracking metrics to see the date and time the data was extracted. It is a little bizarre, because the data is added to the 'Formatted Report' export (at the top), but not to the 'Details Only' export (it used to be at the bottom). I find processing the 'Details Only' report easier because the data header row is on lIne 1. I agree with Rachel's comment about needing the report name to help confirm the data source - I believe it is best practice to name our sources! This is extemely important for several reasons: for example, the confidenatiality line for compliance reasons. But also since we have hundreds of reports we use this as well to determine which report was run to gather what data. I wondered where the message has gone! The disclaimer message 1) needs to be customisable to enable a business to put up their own name, and 2) provides a useful confirmation that the reader is using the right report. This is extrememly important feature to include the customization of the disclaimer in keeping the user community updated and aware when utilizing reporting features in the tool. I agree that a disclaimer at the end of each report run, exported or delivered and offering the ability to customize the content of the disclaimer statement would be very helpful. User's compliance is an important issue. I think this feature is necessary for complaince. This is very important for user's compliance.